As our hunger for convenience grows, the plastic trash that we end up producing to feed this convenience also only further grows. Bottled water is a classic example of this. Green Initiatives’ Better Water Campaign aims to address this challenge. By re-connecting organizations with existing solutions we aim to reduce drinking water cost while reducing plastic waste. Let’s make DRINKING WATER healthier, cheaper and less wasteful. Here’s a few important facts to note about bottled water consumption. It takes nearly 3 bottles of water + ¼ bottle of oil to produce 1 bottle of water. 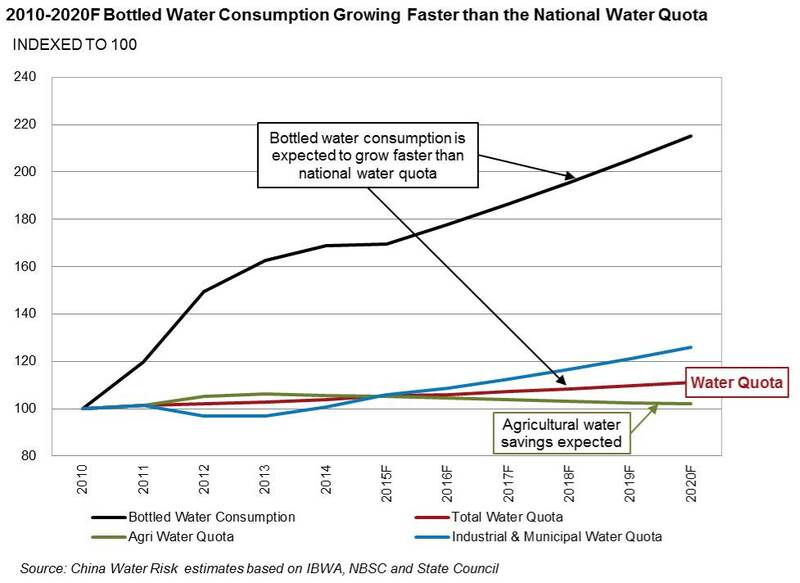 Whats worse, bottled water use is only further expected to grow if this image is anything to believe. While the Chinese government is taking action to protect its water resources, reduce plastic waste and improve public drinking water service, it also needs contribution from end users – both individuals and organizations – to move away from the convenience & lifestyle factors that bottled water involves. Believe it or not, the ‘solutions’ are already out there, and much simpler than one may imagine. Replacing bottled water with filtered water or reusable water containers can reduce drinking water costs by upto 70%, while also drastically reducing single-use plastic waste. If organizations switch to these alternatives, it would lead to a considerable decrease in bottled water waste. Why Should Your Company Participate? This campaign is a work in progress that we are looking to launch on Earth Day, 22 Aprill 2019. If you or your organization would like to sponsor, partner or participate in the campaign, please send us an email.